As you may have tragically heard by now, Manchester has recently become the victim of a barbaric act of injustice, inhumanity and cowardice, claiming the lives of 22 innocent people and rocking the lives of so many more. Whilst it’s so important for us to never forget this horrendous event, it is also important for us to focus on the positive speck of light in these days of darkness. People power. Mancunions are truly wonderful people. In this week alone, there has been more solidarity and love in the city than ever before. Everyone has tried to make a difference; letting strangers have a safe place in their homes, raising money and even supporting the amazing emergency services (free coffee and food from so many businesses!). This week has made me so proud to call Manchester my adopted home. This horrid event has truly rocked the city, but has made us stronger than ever. When a news reporter jokingly said “there’s not many flowers is there?”, mancunions came in their thousands to lay flowers and gifts to the victims of the attack. 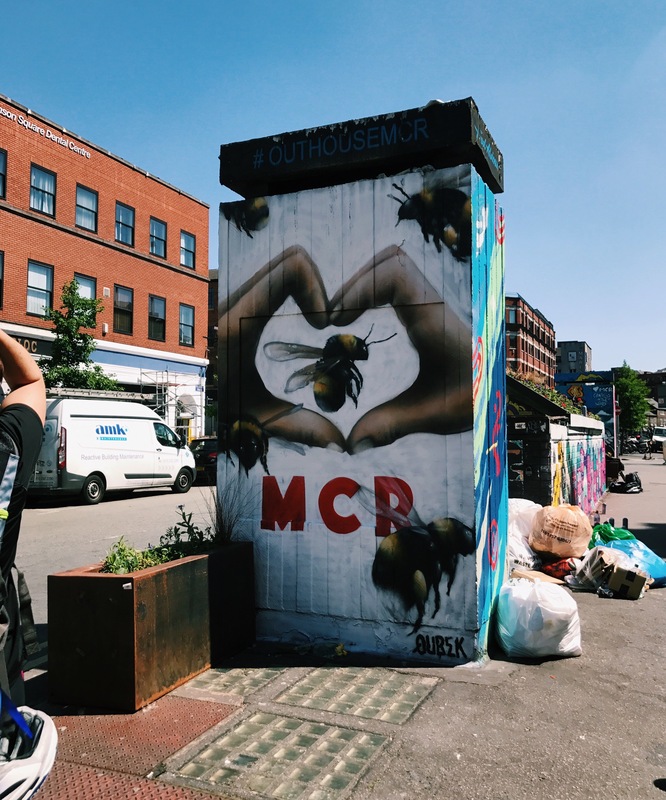 The “We love MCR” and humble bumblebee logo is displayed in every window you pass. Although it is a frightening time to live in the city, the incredible work of the services and support of the people has made everyone come together in this time of darkness.